Medical missions opportunities for physicians, dentists, nurses, therapists, pastors, students and general helpers. Global Mission Partners provides medical missions to those who have little or no access to healthcare. We serve all in need, regardless of race, faith or creed. 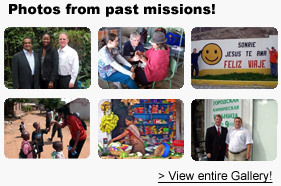 Current medical missions and global missions are available in Nepal, India, Kenya, Ecuador, and Mexico. Short-term medical missions and global mission opportunities are 15 days in Asia and Africa, and 8-10 days in Latin America and 4 day s in Mexico. Longer projects may be arranged for groups desiring them, as are special calendar dates. Global missions in construction and evangelism are also arranged by group. All missions have opportunities to share the Gospel in unique and culturally relevant settings, as well as programs for women's skills development, orphan and street orphan projects, pastor and discipleship training, healing ministry and more. Many have come to know Jesus through the kindness and care of those serving in the medical mission clinics. "Caring for health and wholeness in the name of Jesus Christ." Global Healing Partners Teaching, preaching, healing and deliverance workshops for churches and groups. Designed to lead each Christian into full confidence, authority, assurance and power of His Holy Spirit. Providing systematic and Biblically based understanding of the supernatural blessings we are promised as children of God and how to practically walk in His promises in the home, marketplace and church. "Healing ministry for physical, emotional and spiritual freedom." A child dies from Malaria every 65 seconds. Tuesday is World Health Day. Watch this 1 minute video to learn more and make a difference.